5 New Kid Books They’ll Love! This clever book combines words and numbers to “cre8” what are dubbed “wumbers.” There’s no plot to speak of, but each wumber forms a delightfully illustrated brief vignette. It’s great for nieces and nephews who have a good grasp on reading but might need a way to get excited about numbers and math. It also helps emphasize the idea of reading phonetically since the wumbers must be sounded out to make sense. Wumbers isn’t ideal for a niece or nephew just learning to read, but for precocious kids, it’s a great way to think about the sounds our words make – with a fun twist! While Wumbers is great for reading together, It’s a Tiger! is perfect for reading aloud. The book’s fun, silly story about a boy running from a hidden tiger makes for an extremely active reading experience. The vibrant, motion-filled illustrations match the story perfectly. There will be shouts, giggles, and exclamations as you and your niece or nephew follow the boy and the tiger through this tale. In Good News Bad News, Jeff Mack brilliantly takes four words and crafts them into a heartwarming story. Two friends go on a picnic, which turns into a bit of an adventure. The adorable rabbit continues to make lemonade out of lemons, while his cranky mouse pal plays the pessimist. This read-aloud tale will allow you to teach lessons about the importance of a good attitude, perseverance, and faithful friendship to even your very young nieces and nephews, as you narrate the tale and they follow along with the charming illustrations. They might even learn how to read the two key phrases, as they are repeated. This book tells the story of how the Hindu god, Ganesha, broke his tusk. For an auntie looking to share her soft spot for any kind of mythology, this will be a fresh take, as it is based on a traditional Hindu tale but takes some original twists. For those who know Hindu stories well, this will be a charming take; and those who are unfamiliar with this mythology will delight in the fun fable. The illustrator is an animator at Pixar, and this shows through in the incredible drawings, which have a striking, mature but fun style that will fascinate readers of any age. This adventure is a great way to expand your little niece’s or nephew’s cultural horizons. 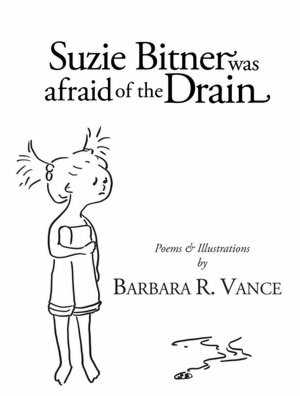 Aunties who grew up adoring Shel Silverstein will delight in debut author Barbara Vance’s collection of poems for children. Featuring 124 poems on various topics that nieces and nephews (and their wise auntie!) will relate to, this is a great book to dip into and out of, sampling a few delightful poems at a time – especially perfect for afternoons visiting with auntie. The poems are accompanied by simple pen-and-ink illustrations, which aren’t overly literal. Topics range from a little girl who loved to play dress-up to musings on being the eldest sibling to a roller skate-wearing mouse. There is sure to be a rhyme that every niece, nephew, and auntie relate to! The matter is to do anything and to achieve anything in life is not any difficult or impossible work which is considered to be the best research paper writing service and an impossible one the point is we have to follow the right way and then tries to achieve our goals in life. 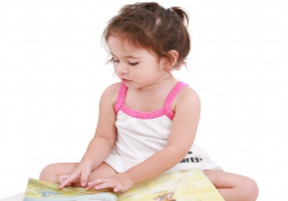 Home Expertise 5 New Kid Books They’ll Love!